In early October, astronomers in Arizona detected a small asteroid headed straight for Earth. The asteroid, a boulder only a few meters (yards) across, was predicted to streak through the skies over Africa. Some airline pilots reported seeing the bright meteor, and, over time, more reports are trickling in. 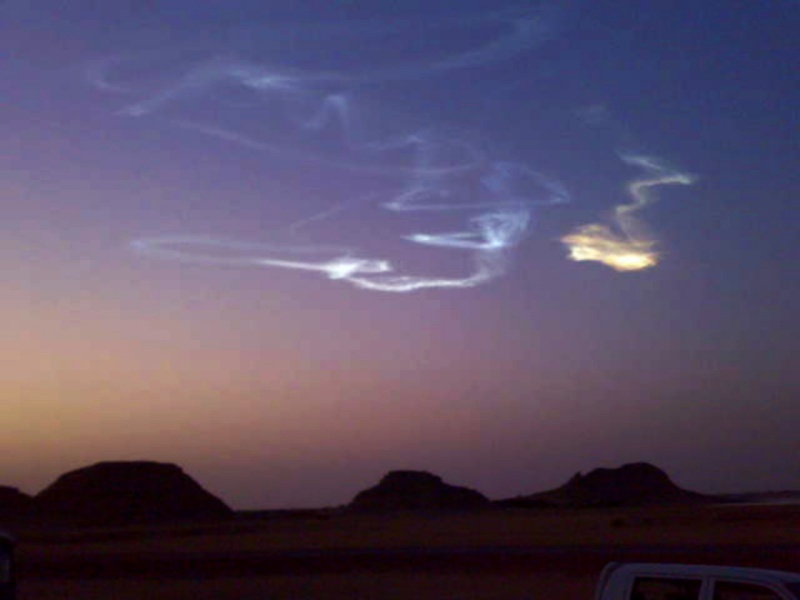 The meteor exploded high in Earth's atmosphere; it's unclear if any meteorites survived to strike the ground. Fireballs, high-altitude explosions, and persistent trains are fairly common meteor phenomena. It's rare for any one person to see these, but they are known to happen quite a bit. With the pre-encounter discovery of 2008 TC3, and with future such discoveries, perhaps we can tie meteor phenomena with properties of asteroids, and better understand how much tiny rubble there is in our solar system! Plus, the potential of discovering meteorites from this event could lead to a better understanding of the composition and structure of asteroids, which would be really good to know if we ever found a really big asteroid headed toward us. For more on asteroid 2008 TC3 and its collision with Earth, try this page from NASA.